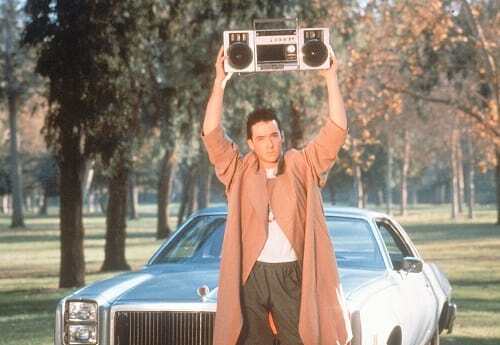 John Cusack in the iconic moment from Say Anything. On the boom box, he's playing In Your Eyes, and a musical movie moment is born. John Cusack was born in Evanston Illinois and became famous when he starred in several teen movies in the 80s including Sixteen Candles. Cuasack then went on to have a successful career in the 90s with roles in Grosse Pointe Blank, Con Air, and Being John Malkovich. Cusack has since continued to be a successful actor. John's family is filled with actors including his siblings Ann, Joan, Bill, and Susie.